The state will divvy up $116 million among 578 school districts and charters to bolster high-quality pre-kindergarten programs, Education Commissioner Mike Morath announced Tuesday. Texas will divvy up more than $116 million among 578 school districts and charter schools to bolster high-quality pre-kindergarten programs, Education Commissioner Mike Morath announced Tuesday. State lawmakers approved the grant program during last year’s legislative session after Gov. 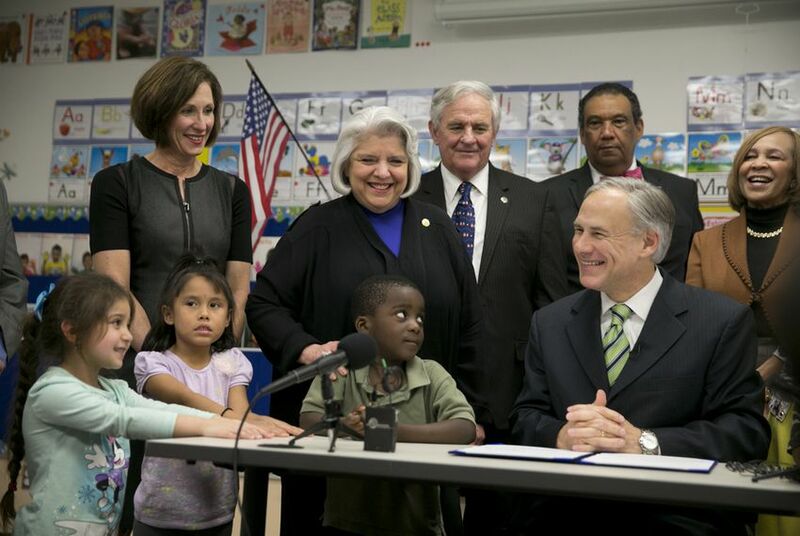 Greg Abbott named early education as his top legislative priority, though some pre-K advocates argued that the grants didn't go far enough. The funding will reach nearly half of the state's more than 1,200 school districts and charters. Qualifying districts can receive up to $1,500 per student under the program, but received $734 per student. Grant awards ranged from $3,600 for smaller school districts to $9.2 million for the Houston school district, the state's largest. The awards will be paid out in two installments: the first one coming immediately and another this fall. "Implementation of this important grant program, which remains a priority of Gov. Abbott, provides important educational support to our youngest Texans," Morath said in a statement. "By working to ensure and expand high quality prekindergarten programs across our state, we take an important step toward ensuring every child is prepared for the classroom from the very first day." The passage of House Bill 4 during last year's legislative session was uncertain at times amid criticism from staunch conservatives — including those on a panel that advises Lt. Gov. Dan Patrick — who saw it as an expansion of state-funded pre-K. But Abbott, and the lawmakers who championed the legislation on his behalf, stressed that the grant program would incentivize high-quality programs by allocating funding to districts that met certain standards including certified teachers and a parent engagement plan. It also would require districts to report pre-K enrollment and other indicators to the state for the first time, as they do for K-12, they noted. At one point, the program was pegged to receive $130 million. That later fell to $118 million. The children’s policy organization emphasized that the $734 per-student grant award falls far short of the maximum $1,500 allowed under program. Twenty-eight districts that applied for the funds were either denied the grants or ultimately chose not to participate in the grant program, the group noted in a news release.